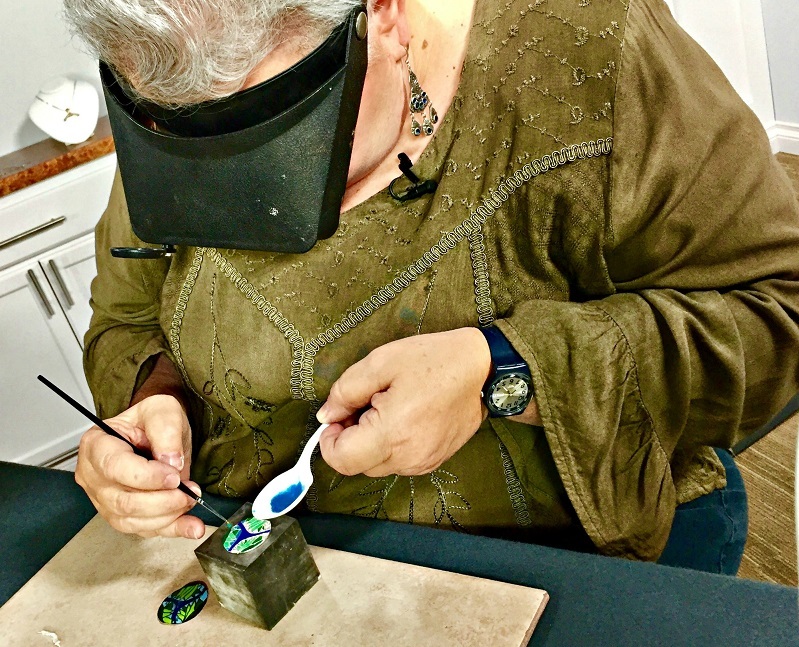 For many centuries, people have had a love affair with the beautiful art form of cloisonné, including me! But the daunting task of attempting to make cloisonné myself would simply never happen. I’m an immediate-gratification type of gal, so the traditional method of creating this jewelry would still be a dream. Then I saw Jackie Truty’s faux cloisonné jewelry using metal clay, and a new love affair bloomed! 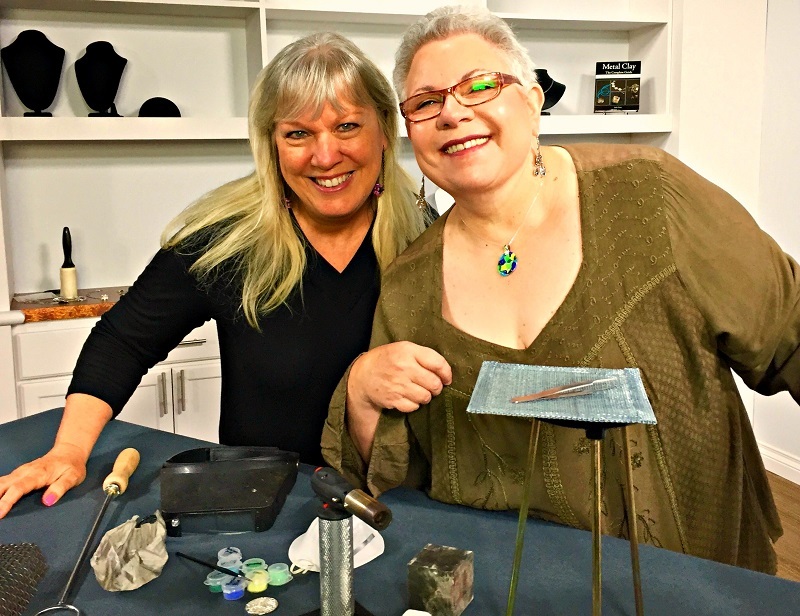 It was thrilling to have her in the Interweave studio to tape a new course; Advanced Metal Clay Series: Faux Cloisonné Enameled Jewelry Using Art Clay. Fortunately, Jackie has perfected a much simpler method to create these inspired pieces, which she calls faux cloisonné. 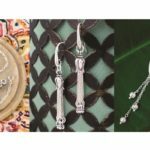 This process isn’t meant to replace traditional methods but to give contemporary jewelry makers another option to achieve the look. The vibrant colors and finished silver look similar to ancient work, but you can create these in a weekend–seriously! This tutorial is unique in the way it combines three different types of Art Clay. You’ll use Art Clay Silver, which is basic metal clay, and Silver Syringe, which is a totally different animal all together and oh so fun! 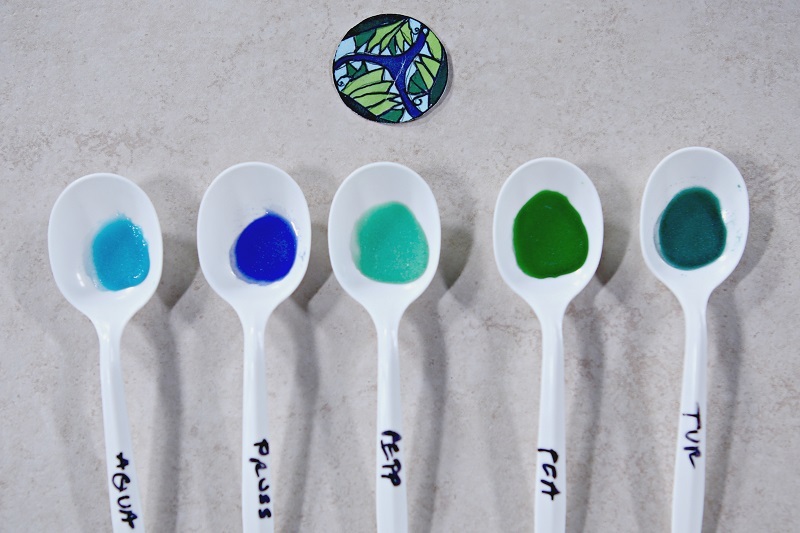 You also use Art Clay Paste Type, which is a thick consistency useful in many different techniques but particularly important when doing faux enamel. You can create endless color palettes and designs–you could spend hours playing with this aspect of faux cloisonné alone. Then once you get into the process, you’ll find it impossible to stop. You’ll learn new tips with each piece you create. Personally, I think it would be delightful to develop an entire faux cloisonné jewelry line for resale. The final pieces look so professional and are easy to wear. Jackie teaches you every step of the technique; then you end up with a beautiful pendant. But that’s just the beginning. I’m chomping at the bit to create small faux cloisonné disks to use as bracelet links and matching earrings. How fun! 1. A steady hand: Make sure your syringe has a nice, round bead. Don’t pull as you’re extruding your clay. 2. A clean finish: Remember to lift your thumb just before you want the syringe line to stop. We don’t want any tiger tails! 3. Mind the gap: Make sure all your syringe lines are touching the base, especially when you cross one syringe line over another. You don’t want any gaps for your enamels to seep through later. 4. It all comes out in the wash: Make sure you wash your enamels until the water is no longer cloudy. You want your colors to be bright and saturated! 5. Eagle eyes: Use a magnifier as you apply wet enamels so you can find all the grains that might stray. Any bit of color out of place will fire on securely! 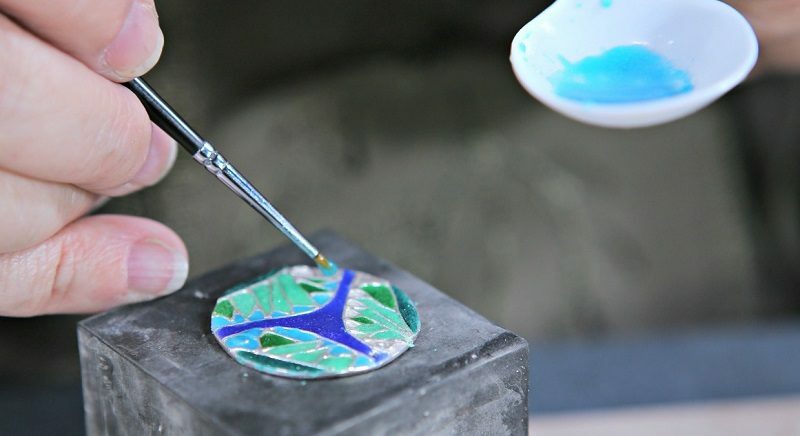 One of my fave aspects about Jackie’s faux cloisonné is you can use either a kiln or a torch. So, if you’ve been tempted to dive into metal clay with beautiful colors, this is the tutorial for you. 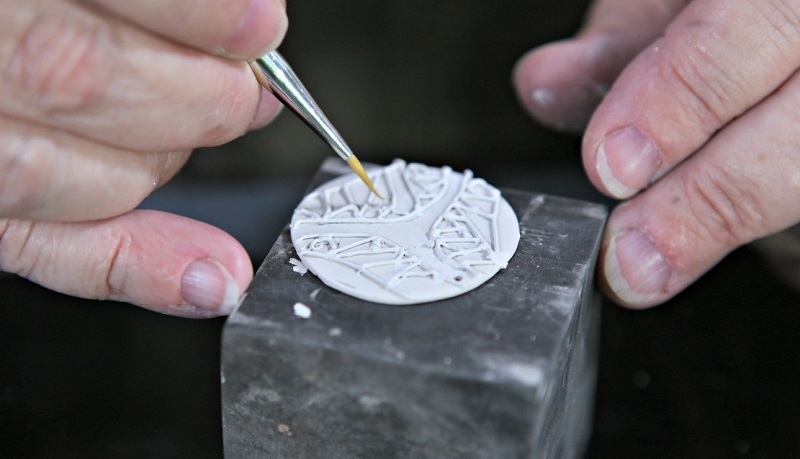 Maybe you want to try it out before investing in a kiln; torch firing is simple and convenient. It’s also portable, so you can easily set up a workspace to fire your pieces and won’t need a dedicated studio. Plus, there’s a convenient faux cloisonné supply kit for this course! I hope you have as much fun with Jackie as we did in the studio!